Confluence comes with a number of templates, known as space blueprints, which have a customized overview and sidebar, and may contain page blueprints or sample content to help you get started. The documentation space overview uses search and page labels to make content easy to find. Add the 'featured' label to any page you want to highlight in the overview. This space does not include any page blueprints but you can create and promote templates for your documentation authors to use. This space is designed to help you organize your software project. 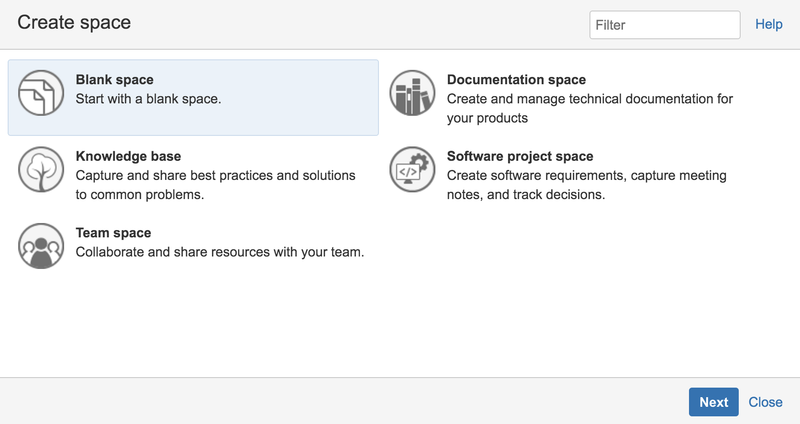 The purpose-built space overview lets you view and edit your roadmap, see team members, and integrates with Jira Software. Create pages in this space for requirements, meeting notes, decisions, retros, and more.